Kick start the Thai New Year by getting wet and wild! Songkran marks the start of the Thai solar calendar, and celebrations are usually a week-long affair. Traditionally, the Thai New Year falls on a different date on the Gregorian calendar each year, and is dependent on the Thai lunar calendar. 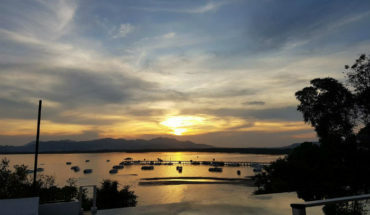 However, to make it easier for vacation makers to plan their trips to join in the festivities, the dates for the celebrations are fixed on the 13th – 15th April each year. 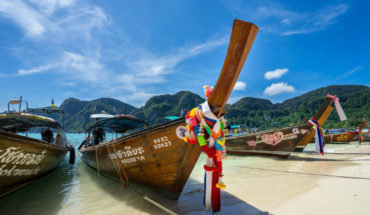 Don’t expect the fun and action to end just after two days though – the Thais love to celebrate, and the revelry usually extends to last about a week. Don’t expect to stay dry if you’re out on the streets! The celebration starts off on a tame note. Religious events and family get-togethers fill up the first day of Songkran (also known as Mahasongkran). Visits to the local temples for prayers and cleansing of the Buddha statues are conducted on the second day (Wan Nao). The third day (Wan Thaloeng Sok) is when the fun and action starts. But this depends on where you’re at in Thailand. If you’re in Phuket, you’re likely to be soaking wet if you’re out and about on the 13th. The streets are lined with crowds and utilities containing people, all of whom are eagerly waiting to splash out at passers-by. 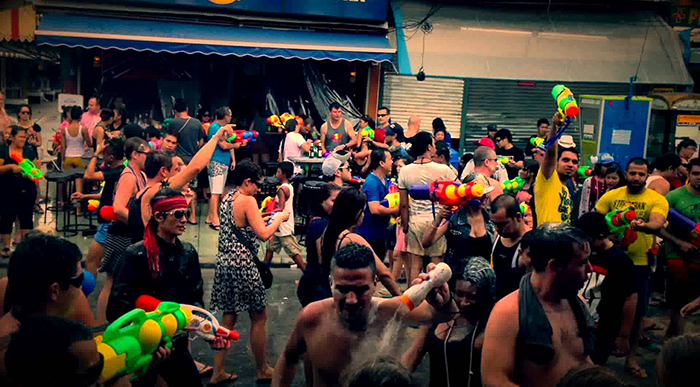 Loud music and water fights abound in Bangla Road. 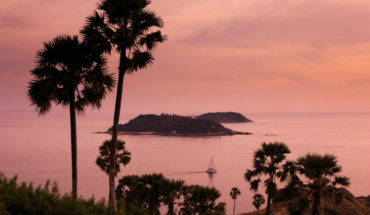 You’ll also be in the thick of things at Phuket Town, Kata Beach and Karon Beach. On the 13th to 15th the fun and action is liveliest at Patong Beach. Catch the procession of the Phra Buddha Sihing statue at the streets located near to the beach, keep your eyes on the contestants of the Little Miss Songkran beauty pageant, check out the art shows and enjoy the flower parade. Of course, don’t expect to go through the day without being absolutely soaked through! What should you do to avoid the crowds? Splashing the crowds with water (and getting soaked) may be a bundle of fun, but it’s not everyone’s cup of tea. 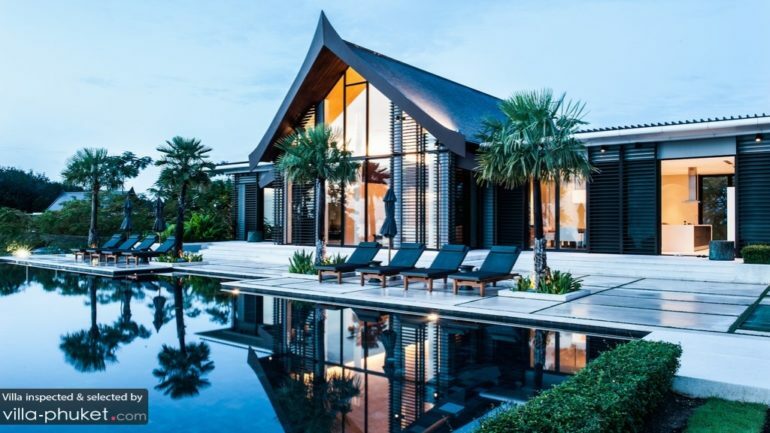 If you’re one who likes to keep dry it’s best to stay in at your villa. Don’t splash out at passers-by riding a scooter or motorbike. You may be doing it in the name of harmless fun, but it could knock the riders out or cause an accident. The same rule applies to babies, old people and monks. Make sure that all valuables, like your passport, camera, wallet and mobile phone are stored in plastic bags. If you need a break from the action head indoors into a restaurant or bar along the street. You’ll make an easy target if you’re near the windows, so it’s best to find a seat located away from the entrance and windows. Bring along a towel and a spare set of clothes to change into. These should be kept in a plastic bag. Ladies should take note to avoid wearing clothing in light colours or that are made of thin materials. Avoid riding a scooter or motorbike. If you’re in a vehicle, don’t expect to reach your destination in time as traffic will be slow. Keep calm and smile – it’s Songkran, so be prepared to be sprayed, splashed or soaked when you least expect it, or when you’ve had enough of staying wet. 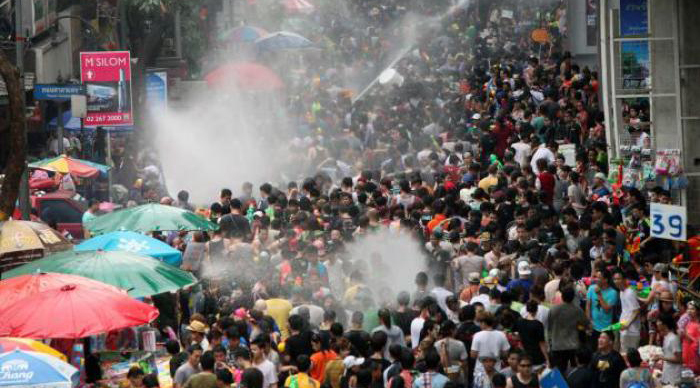 To stay ahead on the events and happenings, check out the Songkran Festival Facebook page. Salsa addict, yoga enthusiast, writing, food, travel, meditation.